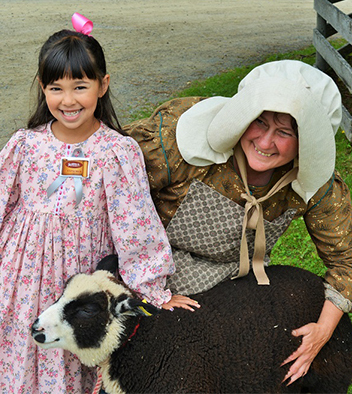 Every day is an adventure and trip back in time as Nova Scotia’s 19th century heritage is brought to life for visitors of all ages by costumed interpreters in 25 original heritage buildings including blacksmiths, potters, wood turners, weavers and printers. Come back in time to the boom years when shipbuilding, lumbering, and gold mining dominated the local economy. 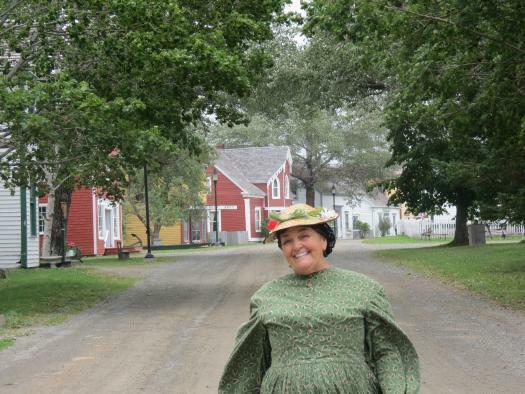 Our activities, workshops, learning programs, weekly concerts and schedule of special events make it easy to get your hands-on history all summer long! Open May 19 to October 14 from 9:30 a.m. to 5 p.m. Visit us 45 minutes south of Antigonish on Highway #7 or 3 hours east of Halifax Call 1-888-743-7845. Promoting development in ability, technique & nurturing of artistic growth during learning experiences, with classes, evening get together, and Grand Finales. Meals & camp style lodging available on-site for multi-day programs. 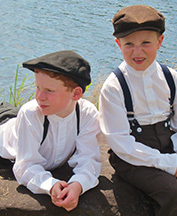 Sherbrooke Village is host to a wide variety art & culture offerings this season. The Sherbrooke Village Exhibit Centre is hosting another fabulous Indigenous Art display and sales. Exhibit will feature the stunning works of Loretta Gould, Jay Bell Redbird & Halina Stopyra. 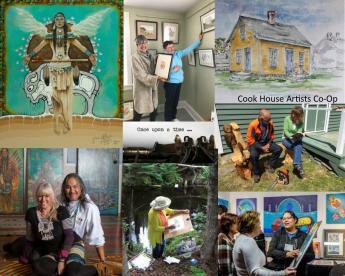 The Cooperative Art Gallery at the "Cook House" will be open daily from Tuesday through Sunday from 10 am to 5 pm. You will find for sale original oils, watercolours, acrylics, and sculpture, as well as prints and cards. The 'Community Wall' can be rented by artists for two-week periods. Brad Burns will be on hand all season performing power saw carving demonstrations and selling his one of a kind art. Ambrotype is a unique form of photography that is practiced in Sherbrooke Village. Through the process of Ambrotype, pictures are taken on a plate of glass. 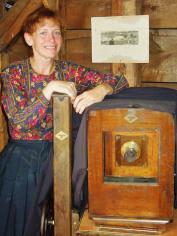 Visitors who would like a lasting memory of Sherbrooke Village can dress in period costume and have their picture taken with a camera that dates back to 1905. Dogs on leashes are welcome on site.